Charlotte, North Carolina, offers such a wide variety of mortgage lenders that it can be hard to pick one. 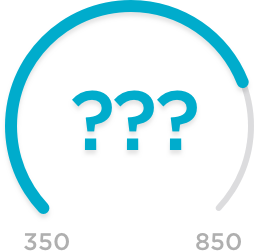 NerdWallet evaluated Charlotte’s leading mortgage companies in various categories to help you decide. Whether you’re buying a bungalow in Dilworth or refinancing a condo in Uptown, these national and local lenders are a solid place to start. Ideal choice for convenience and quick-response customer service. Quicken Loans provides just about all the services your neighborhood lender does — with online convenience. Ideal for borrowers in the Southeast who want face-to-face service at one of more than 2,000 financial centers. These mortgage lenders are based in or near Charlotte and are among the metro area’s most active mortgage providers. They have not been reviewed by NerdWallet. Homegrown lender that now has a national presence. Mobile app lets you start your application and sync bank statements and tax software, reducing paperwork. Aims to deliver a loan decision within six hours. Offers low-down-payment, jumbo, FHA, VA and USDA mortgages, plus condo loans up to $3 million. One of Charlotte’s best-known brands for homebuying and refinancing. Lets you track loan status online, plus get email notifications of milestones such as receipt of appraisal. “Second Look” program encourages rate-shopping from people who have been preapproved by competing lenders; posts mortgage rates on its site. Offers 15- and 30-year fixed-rate mortgages and 5/1 ARMs as well as jumbo, FHA, VA and USDA loans. No lender fees for application, processing or documentation for most loans. More-personalized mortgage rates are available on the site with no registration required. Fixed-rate loans with terms from 30 to 10 years, plus 5/1 and 5/5 ARMs, and possible 100% financing. Schedule a callback from a loan officer within four-hour windows. Borrowers must meet membership eligibility requirements. Offers conventional, jumbo, FHA, VA and USDA loans. Get a conventional loan with a down payment as low as 3%. Jumbo loans are available for up to $3 million. Quicken Loans: Best for FHA loans. 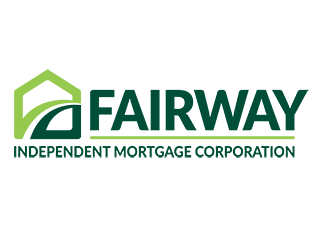 Fairway: Best for FHA loans. Bank of America: Best for mortgage refinances. BB&T: Best for mortgage refinances. SunTrust: Best for jumbo loans. LoanDepot: Best for FHA loans. Flagstar Bank: Best for VA loans. Caliber: Best for first-time home buyers. Navy Federal Credit Union: Best for VA loans. Vylla: Best for first-time home buyers. Movement Mortgage: Top local lender. Allen Tate Mortgage: Top local lender. Sharonview Credit Union: Top local lender. Cardinal Financial Company: Top local lender.